The process of acquiring an airplane for first time buyers can be daunting at first glance...there are many variables that come into play in the attainment of aircraft ownership. Take some of the burden and stress off yourself and have an experienced "Aircraft Acquisitions Advisor" assist you in navigating the elaborate process to aircraft ownership. I will be your "neutral" 3rd party providing you with guidance and the resources to make "your" educated decision on what aircraft is best for you. I have been flying in the Tampa area for quite some time, and in the process I have been able to create relationships with some of the leading sales companies. 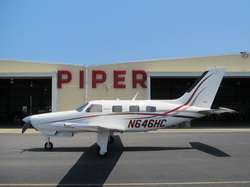 If you are looking for a new aircraft...I have relationships with Piper, Cirrus and Cessna sales in FL. If you are looking for a used aircraft I have assisted clients anywhere from a C182 up to a Piper Malibu. Success Stories - some of my recent clients whom I assisted with the process to them becoming aircraft owners! Family of 3 recently purchased their first airplane as a means of transportation for business and pleasure...always fun to go to the Bahamas for the weekend! Steve, Lindsay and Steve Jr. are "loving" their 2007 Avidyine equipped Piper Malibu Mirage...its the perfect airplane for their missions. 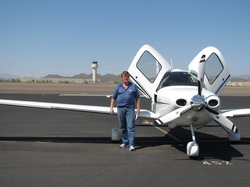 Jack is finally happy to have his "sweet" Cirrus! He recently purchased his first airplane to use for both pleasure and business...now he has been hopping all over the state and soon to be IFR pilot!